Social Security disability lawyers in Boston know that the disabled face many hurdles getting benefits and that often the benefits that are paid out provide only a limited amount of income. 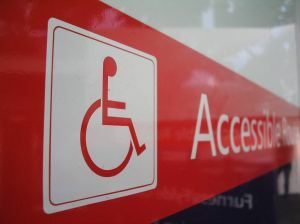 For some individuals receiving disability benefits, however, the problem isn’t that their claims have been delayed or that their benefits haven’t been approved. Instead, the issue is that they have been overpaid. As CNN reported, the Government Accountability Office (GAO) estimates that the Social Security Administration (SSA) has paid out $1.3 billion in overpayments in the past two years alone. These payments may have been sent out to people who started working and no longer qualified for disability or to individuals who began to earn too much income to qualify for benefits. While the added benefits may at first seem like a windfall to a disabled person in need of income, unfortunately disaster can strike when an SSD recipient accepted these overpayments unknowingly and then the SSA discovered what it had done. The Social Security Administration’s overpayments are likely occurring because of critical failures within the administration of the disability benefits system. The mistakes, in other words, are made by the SSA. In many cases, individuals on Social Security Disability benefits will attempt to correct this SSA error by alerting the Administration that they are receiving benefits they shouldn’t be. However, as CNN indicates, at least one individual who tried to tell the SSA that the money wasn’t owed, ended up getting inaccurate data from the Social Security office. The Administration had told the recipient that the overpayments she was receiving were not because of a mistake but instead because she had been underpaid in the past year. Unfortunately, this turned out not to be true and the SSA later tried to recover thousands in back pay that she didn’t have. While the SSA needs to make changes to its internal process in order to avoid sending out money it shouldn’t, individuals who receive funds from the Administration also need to be aware of the potential problems being associated with overpayment. If you believe you are receiving more money than you should or that you are receiving SSD benefits that you no longer should have, you need to take action right away and get the money saved and sent back to the government before you get a nasty surprise demanding repayment of money you thought was your own.